It’s no secret that when I travel, I tend to plan my trips around where and when I can stop by my favorite eating establishments, and find new ones. What can I say? It’s an alternative lifestyle. Having spent summers in East Harwich since I was a kid, each visit the Cape is no exception. To me, Cape Cod also means family, and on my recent weekend visit there I was able to see most of my clan. 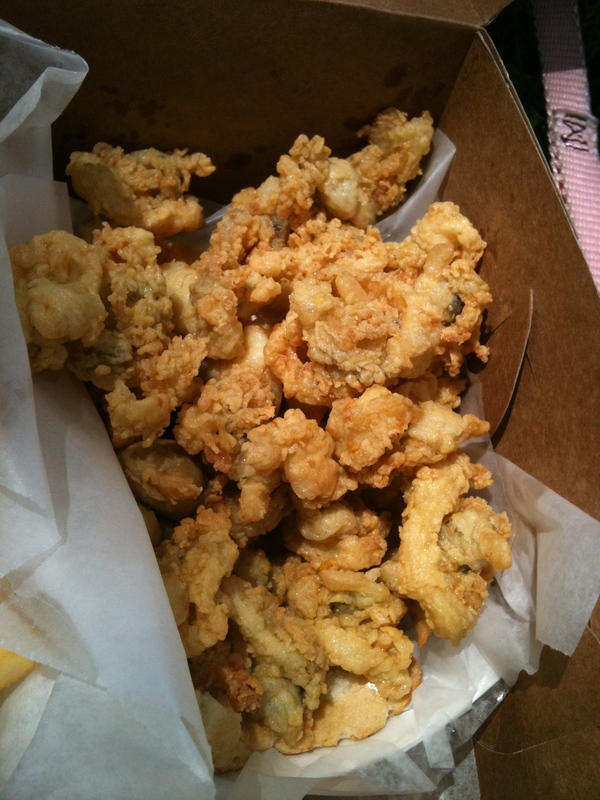 I tend to agree with critics when it comes to the great Cape Cod fried clam debate. 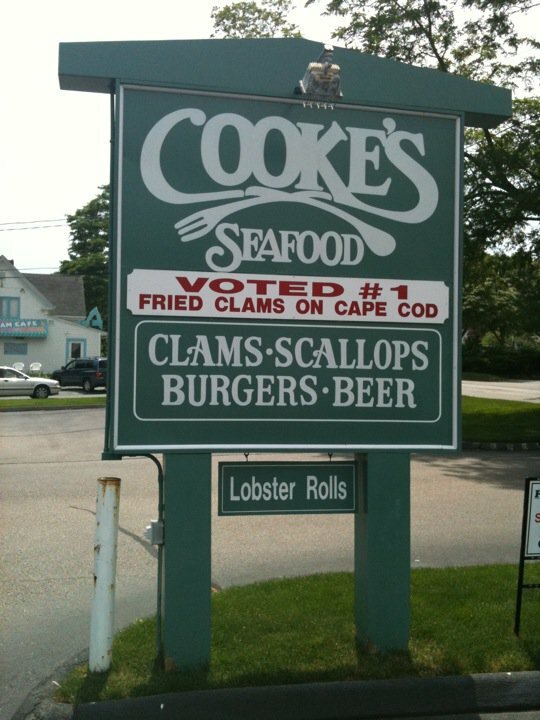 The consistent winner of all the critics’ choice awards seems to be Cooke’s Seafood (locations in Mashpee, Hyannis, and Orleans), and I have to agree. You may be aware that the very bane of my existence is picky eaters, and my dear sister unfortunately happens to be one. Oddly, though she’ll be vexed by something as innocuous as, say, a large chunk of tomato, she happens to love mussels. Yes, mussels, those oil-dark, oval, bearded mollusks that only 7% of the population will even look at, let alone put near their mouth. Though many believe they are evil incarnate, those in the know will tell you that these shelled beauties are sweet and meaty, and lend themselves to any number of simple, delicious preparations. Inexplicably, Tree loves them. And I love her for it; sharing mussels has become one of our sibling bonds. So on the odd occasion that Tree and I find ourselves alone together, like on one particular night on the Cape, we decided to cook up a batch. This time, we steamed them up in a spicy tomato sauce with wine and fresh basil, fra diavolo style. 1. Using a pot that has a tight-fitting lid (you’ll need the lid later), heat the olive oil over medium heat and sauté the onion until translucent, about 5 minutes. Add the garlic and red chile pepper flakes and sauté for an additional minute or two. 2. Deglaze the pan with wine and stir in the tomato, oregano, and sugar. Season the sauce with salt and pepper and bring to a simmer. Simmer until the flavors come together and the alcohol cooks off, 10 – 20 minutes. Taste for seasoning and adjust accordingly. 3. Bring the mixture to a boil and add the mussels. Cover tightly and boil for about 8 minutes, shaking the pot occasionally, until the mussels have opened. Throw in the basil, reserving some for garnish, and give the pot a final shake. 4. Serve the mussels over pasta with or without cheese, depending on which side of the seafood-and-cheese controversy you fall upon. I think it’s kind of nutty to say that EVERY seafood flavor clashes with EVERY cheese out there and none of them could possibly pair well. 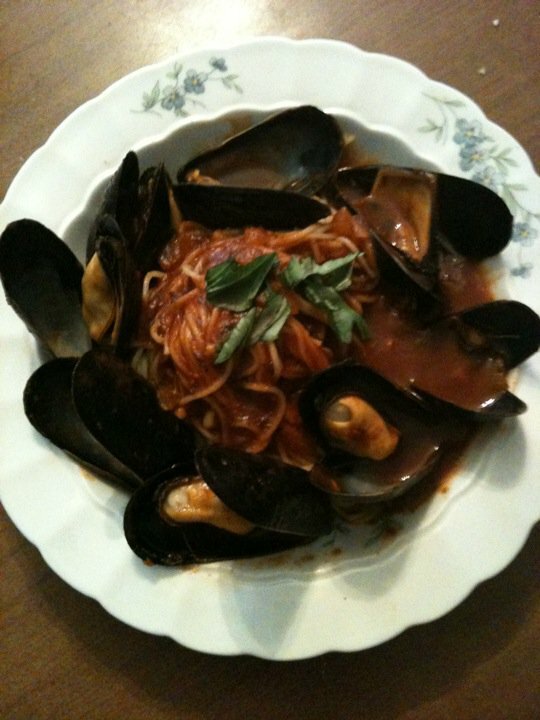 I like to eat the mussels off the top of the dish, then sprinkle parmesan over the pasta. It’s delicious. Call me crazy. 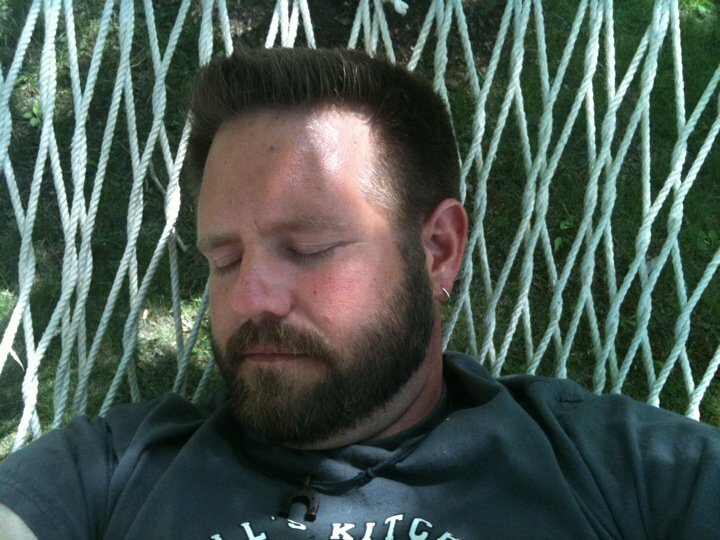 I take a backseat to my brother-in-law Jimmy, the true cook in my family, the grill-master. I must say, everything he touches turns to gold. Therefore, I decided to make a few easy appetizers for our family dinner the next night, while Jimmy took charge of the grill. 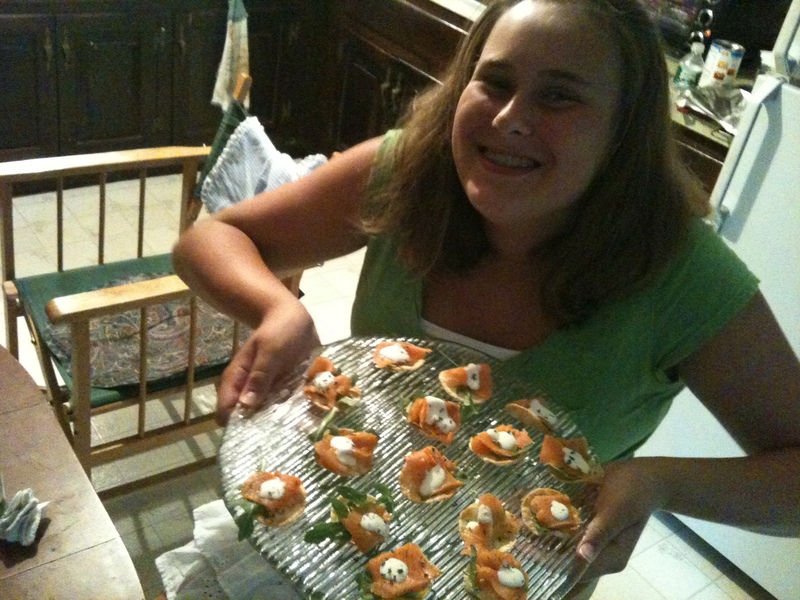 My niece Kayla assisted me with some really easy no-cook smoked salmon bites. All of the ingredients are available at Trader Joes (we stopped at the one in Hyannis at exit 6). The smoked salmon there is really a good deal! If you can’t find “popped” style potato chips, a sturdy potato chip, like a kettle chip, will work fine. Mix the crème fraîche with the lemon zest. Cut the salmon into bite-sized pieces. Lay out the chips on a platter. 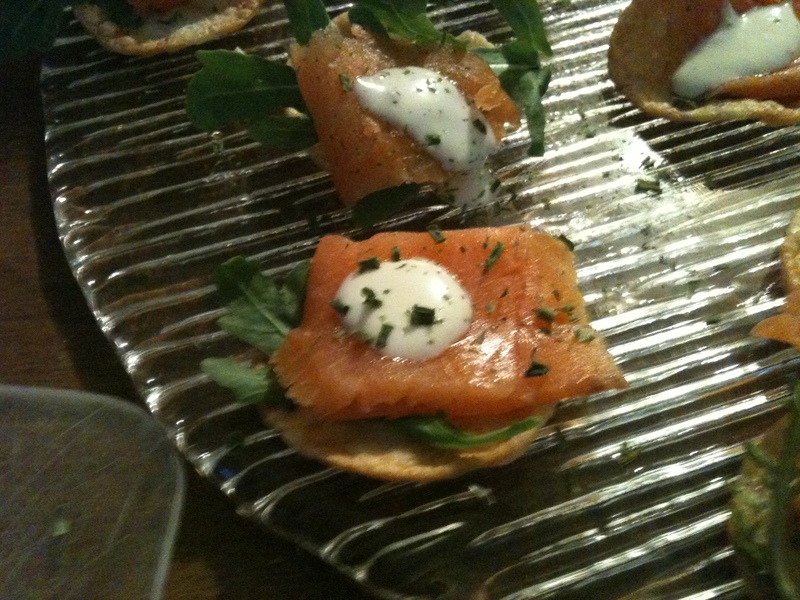 Top each chip with an arugula leaf, a piece of smoked salmon, a tiny dab of crème fraîche, and a sprinkling of chives. These are wicked easy bite-sized appetizers everyone will love. What better way to finish a meal – or to finish a lovely weekend with family – than with a sweet treat? 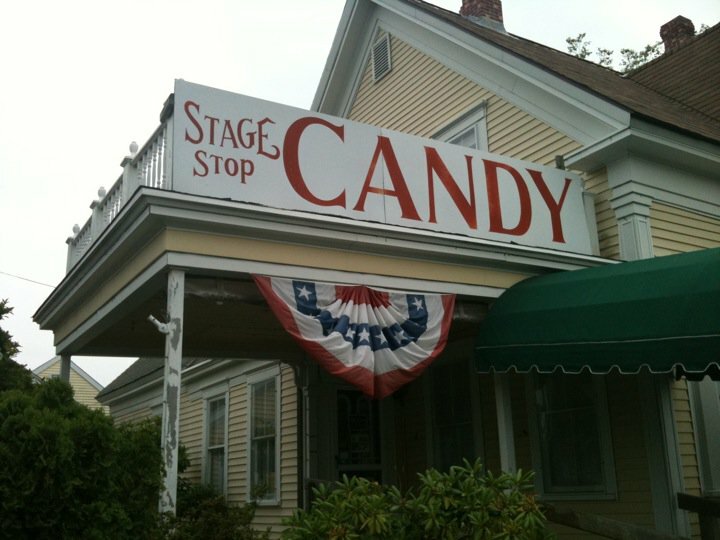 My family’s favorite sweet shop on the Cape is Herbert’s Stage Stop Candy (411 Main St, Dennis Port, MA). They have fantastic fudge in every flavor imaginable ($7.95 a pound), and lots of old favorites like truffles and turtles. For me, the star of the show is Stage Stop’s cranberry cordials, which make a great gift for folks back home. They are local cranberries enrobed in scrumptious milk or dark chocolate – a true taste of Cape Cod.